Welcome to some weekend fun and entertainment with drones. We spend a lot of time scouring the web for news, information and more on all the great drones around the globe. In our travels, we encounter some fun and funny stuff, and we want to start sharing that with you. Today we will be taking a look at GoPro cameras attached to drones. Next up in our series, let’s explore some fun with drones equipped with the latest GoPro cameras, can they take your drone videos and photos to the next level? In this video by Rotor Riot, the team take the new GoPro Hero 7 Black and attach it to their racing quads to get smooth, high-quality video from the point of view of the racing drone. 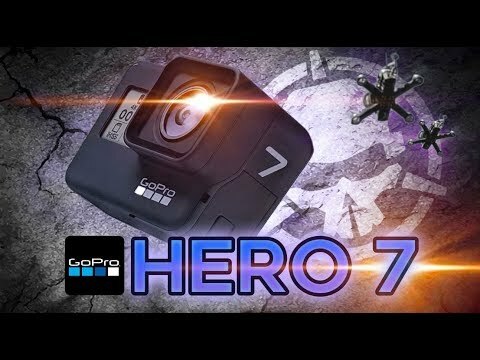 GoPro’s are great for use on large enough racing drones, these cameras are a little large for smaller drones, but overall a decently small form factor, they are very crash resistance and produce some high-quality video. 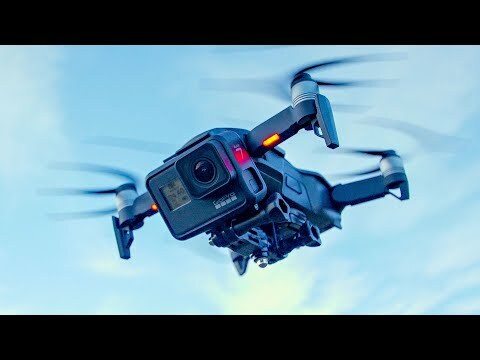 The guys over at the TechKaboom YouTube channel attach a GoPro to a DJI Mavic Air to improve its already amazing camera quality. The only issue is the GoPro isn’t attached to the 3-axis gimbal, a disadvantage compared to the stock camera, but at least this GoPro camera has the latest HyperSmooth stabilization technology built into it.